The causes of epilepsy can be attributed to various factors. Seizures occur when there are fluctuations in the normal balance between neuronal excitation and inhibition in the brain. Depending upon the extent of the area of the brain that is affected, the patterns and severity levels of the seizures vary to a large extent. 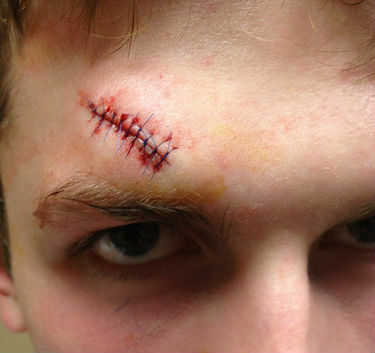 Head injuries are common causes of epilepsy in people of all age groups. The causes of epilepsy differ from one individual to another based on his age. Here is an age-based classification of epilepsy causes. The brain is susceptible to seizures under specific conditions. Even normal human neuronal cells are susceptible to the factors that provoke seizures under specific conditions. But the susceptibility varies based on the severity of these factors (e.g. high grade fever in children). The threshold for the occurrence of seizures is determined by various parameters like genetic factors, the family’s history as far as epilepsy is concerned, or the birth of a defect during the development of brain structures. A variety of conditions are responsible for long-term seizure disorders. Serious head injuries like penetrating trauma pose up to a 50% risk of causing long- term damage to the neural tissue. In such cases, the neurological network becomes abnormally hyper-excitable. This phenomenon is called epileptogenesis. Other processes like strokes, infections, neural defects, or genetic abnormalities in the brain can also trigger epileptogenesis. There are certain factors that provoke seizures. Seizures usually occur intermittently. Individuals with epilepsy often exhibit completely normal behavior between episodes of seizures, and any routine activity may trigger a seizure episode. How Are The Seizures Triggered? Here’s the mechanism that triggers epilepsy symptoms. Neurons (brain cells) have their own electrical potentials, set in order to maintain their optimum function. These potentials are derived from graded concentrations of various ions (sodium, calcium, potassium, etc.) both inside and outside of these cells. Under normal circumstances, these electrical potentials across the membranes of the neuronal cells are well-balanced and well-regulated. When this balance is disturbed, episodes of convulsions (seizures) are triggered by different mechanisms, depending upon the cause. Neurons of different parts of the brain control the tone and activity of the muscles of different parts of the body. Under normal conditions, excessive contractions are inhibited by opposing neurons. GABA (Gamma Amino Butyric Acid) is a neuro-chemical that inhibits further contractions of muscles via neuronal control and constantly regulates the frequency and extent of the contraction-relaxation cycles. When precipitating factors step in, this balance is disturbed and the electrical potentials across the neuronal membranes fluctuate. This causes uncontrolled, irresistible, and frequent contractions of muscles. When high-frequency bursts of electrical potential occur in localized parts of the brain, focal seizures occur. When these bursts of electrical potential are transmitted to other parts of brain, generalized tonic-clonic seizures appear. 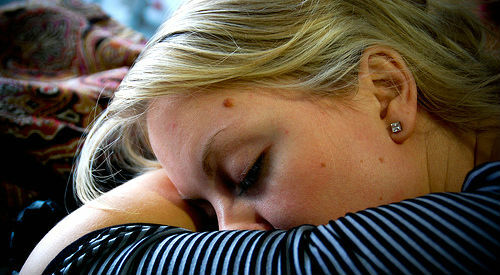 A lack of sleep is also a common cause of epilepsy. In the case of seizure episodes caused by infections, high grade fever, metabolic changes, poison, or trauma, the neurons become hyper-excitable and the subsequent high-frequency electrical potential bursts provoke seizures. When seizures are triggered by genetic factors, the underlying reason is often the defective development of certain parts of the brain or the defective production of neuronal ion-channels. Both these factors affect neuronal excitability. Knowing the causes of epilepsy can help you avoid or control many of the factors that trigger seizure episodes. Knowing about the types of epilepsy, its symptoms, and epilepsy treatment can help you counter this condition effectively. In fact, the best thing to do would be to take proper measures for epilepsy prevention. This entry was posted in Epilepsy and tagged cause of epilepsy, what causes epilepsy by Dr. Harshal Narkhede. Bookmark the permalink.